GOLD FEATHERS. ADVENTURES, INSPIRATION, AND OTHER LOVELY THINGS. : 3rd trimester! i am officially in my 3rd trimester now! 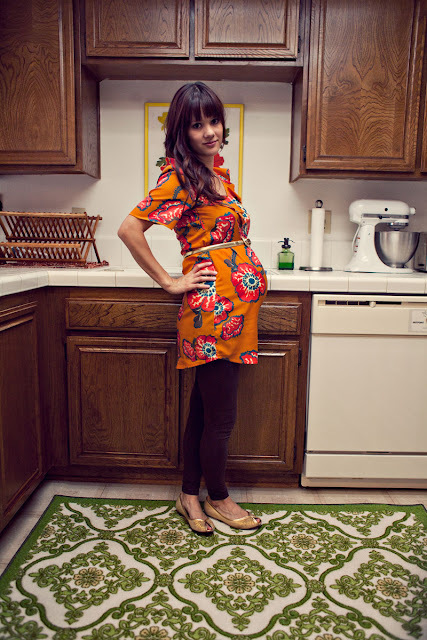 here's a photo of the bump (and sneak peek of the new kitchen)! sorry for the distortion, i just put the camera on a chair real quick. wide angle lens...my head looks bigger than my bump, haha. so excited for this baby girl to come in 12 weeks! i have definitely been nesting. and then we have some furniture to put together and organize. and it was bittersweet telling my students i would be leaving them early. i just hope i can handle all i have on my plate until i reach maternity leave! You look amazing! We should get together before your little girl comes.. lunch? Love the rug in your kitchen...where did you get it?? I loooooooove your bummp! And your kitchen. But your bump more!